Bushnell recounts the immediate crisis management efforts of her team, her tense relationship with Washington over its lackluster response, and the healing and recovery process as time passed. She also describes her earlier misgivings about the embassy’s security posture, and the warnings she communicated about threats and poor building setback. Unfortunately, her alarm was unable to overcome bureaucratic obstacles to produce measures that would have prevented the attack. Bushnell explores the broader context of U.S. counterterrorism policy leading up to the bombing, recounting how U.S. support of the mujahideen in Afghanistan against the Russians bolstered Osama bin Laden and led to his formation of al-Qaeda. In a series of ensuing missteps, the United States failed to recognize or to muster a sufficiently strong response to the growing threat of jihadist terrorism against Americans. She attributes this to a bureaucratic “wall” that inhibited effective information sharing, competing political priorities, and Congressional budget cuts that cripplingly limited the U.S. Department of State’s ability to bolster its defenses against physical attacks. However, she reserves her most blistering critique for Washington’s response following the attacks, with an Accountability Review Board (ARB) focused on limited issues that did little to alter the practices of the national security interagency. Failing to change course allowed for the continued spread of global jihadism and the strengthening of al-Qaeda, which ultimately inflicted devastating loss on U.S. soil during the September 11 attacks. The book concludes with a series of “lessons learned” for leadership, management, and policy, placing them in the context of recent foreign policy events. Terrorism, Betrayal and Resilience successfully conveys the heartache felt by a Foreign Service community failed by a national security bureaucracy that tends to prioritize spending on short term political priorities and on military rather than diplomatic solutions. 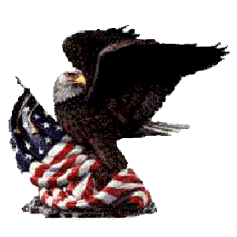 This despite the fact that often it is overseas diplomatic missions with limited security safeguards that are on the front lines of America’s most pressing foreign policy problems. 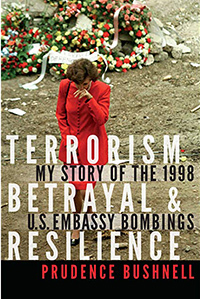 Bushnell’s story will appeal to those interested in a variety of topics, including crisis leadership in the U.S. Department of State, diplomatic security, the history of U.S. counterterrorism efforts against al-Qaeda, and the application of lessons learned to the current political environment. It will also resonate with readers who have experienced other embassy emergencies, to include the September 2012 storming of several Embassy compounds such as Benghazi, where Ambassador Chris Stevens was killed by Libyan jihadists. Despite significant recent improvements in the strategy and practice of fighting terrorism, and in the technologies and policies implemented by the Bureau of Diplomatic Security, Bushnell’s tough look at the policymaking process reveals areas that still need improvement, and the devastating consequences that can result if they do not. Ultimately, the American people must place increased priority on diplomacy and the personnel who represent them abroad, in order to achieve improved counterterrorism outcomes and to ensure diplomatic safety. Ambassador Bushnell’s book provides an impassioned reminder of that reality. Frances Duffy served for five years with the U.S. Department of State, to include four years with the Bureau of Diplomatic Security in North and Sub-Saharan Africa. 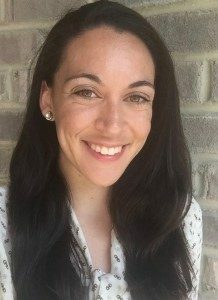 She is currently pursuing a PhD in Public Policy at the University of North Carolina- Chapel Hill, where she studies U.S. intervention in foreign conflicts and the coordination of diplomatic and military approaches.